- The weight of the battery is above the arm, the overall center is balanced, and each motor output is balanced and efficient. 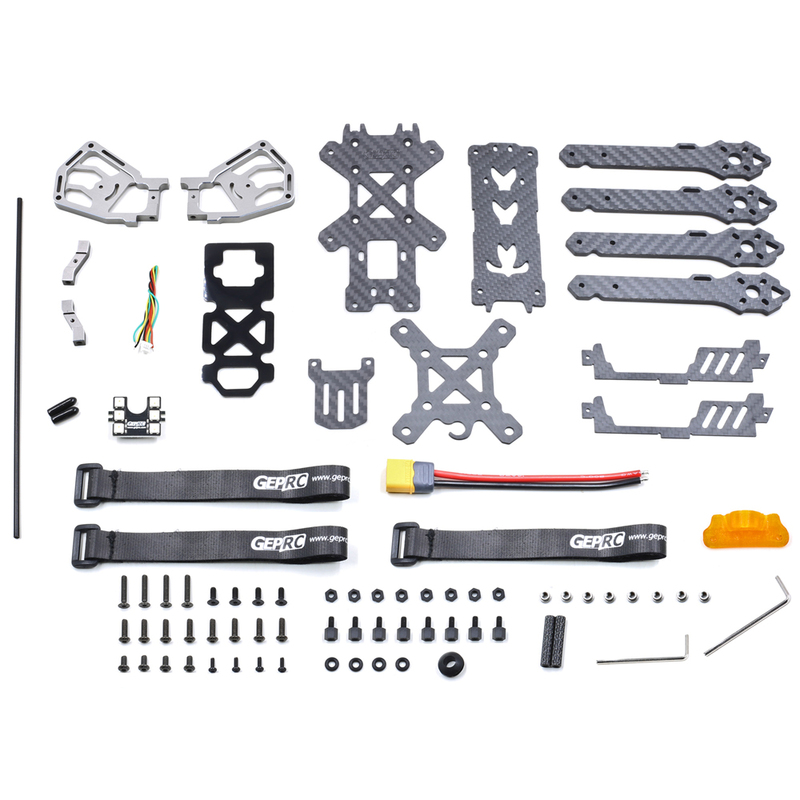 - The camera position USES 7075 aviation aluminum alloy, high precision, very strong. And it forms a 33-degree gopro position. 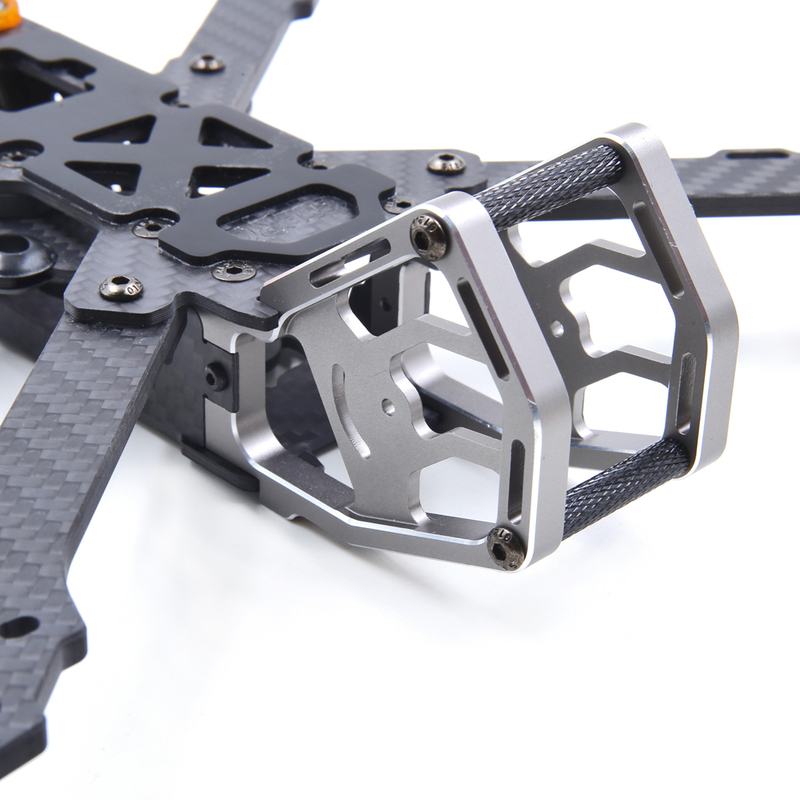 - All 3k Japanese carbon plate, 14mm narrow arm structure, reduce air resistance. - Hybrid X structure, shortening wheelbase, flexibility and stability. - Integrated LED lights, buzzer. - Side panel design to effectively protect the electronic equipment inside the fuselage. - YFS screw, 12.9 level hardness.